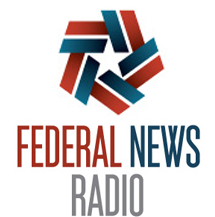 Federal News Radio reports on the impact and success of DevOps practices for two federal agencies – U.S. Citizenship and Immigration Services (USCIS) and Federal Communications Commission (FCC). Both agencies have been using agile and DevOps to modernize their old systems and deploy updates quickly. Sarah Fahden, the chief of the Verification Program Portfolio at USCIS, said the journey to being a dev/ops or agile shop started quickly after DHS made the project a high priority modernization program almost six years ago.